ZANDER ERASMUS WRITES: I took this photo near Fouriesburg in the Free State when we stayed there on our way to the coast. I had already taken the obvious photo of the sandstone cliffs outside town when I came upon this water trough. There were no animals to disturb the surface of the water – not even a breeze – and it reflected the sky like a mirror. 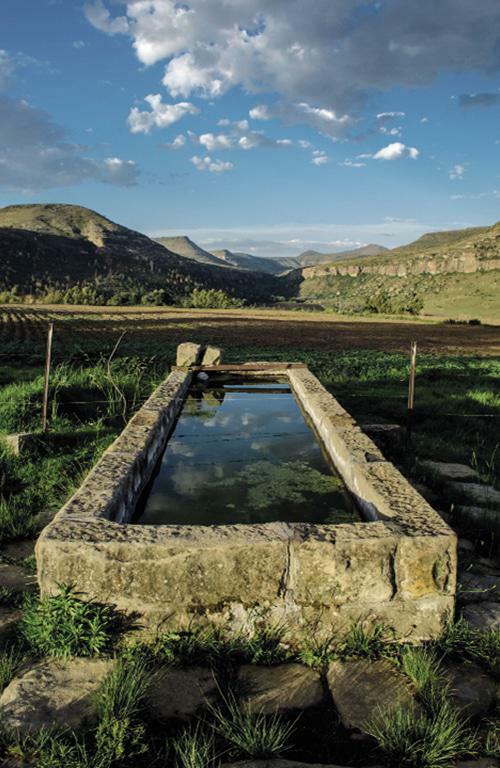 TOAST COETZER SAYS: You can never go wrong with a nice photo of a water trough… Zander’s skill was to notice this unusual scene in a landscape full of other, more obvious vistas. The dramatic mountains of the Eastern Free State are made for landscape photography, but the challenge is to return from the veld with something different. Zander used an aperture of f8, which was wide enough to ensure that everything, from the trough to the mountains, is in focus. Aside from the reflection in the water, the texture of the stonework also catches the eye – the sandstone shows every mark left by the chisel when it was mined in the area decades ago. This detail gives the photo character and adds a little history to the frame, too. This photo originally appeared in the March 2018 issue.